Does anyone one else’s heart skip a beat looking at these? It’s like candy to me, I want to eat them! 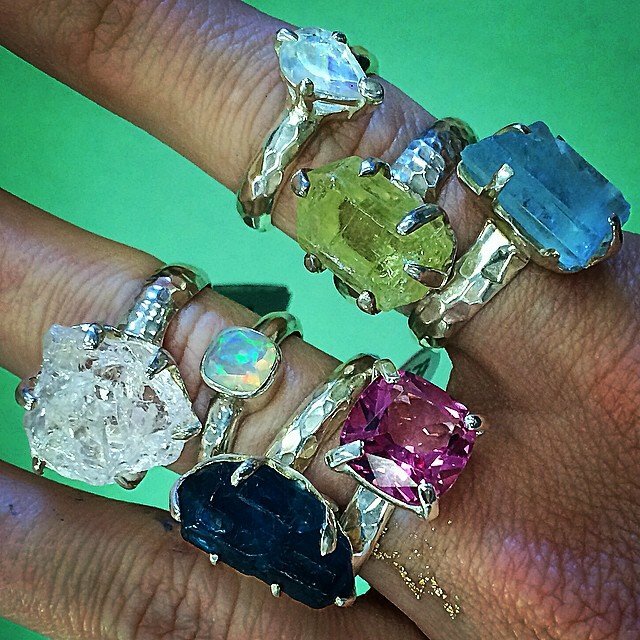 Forget the diamonds… rainbow #moonstone, #aquamarine, #hiddenite, #apatite, pink #tourmaline, Ethiopian #opal, #danburite. Yum.